GUELPH, Ontario – In partnership with Build a Dream, the Upper Grand District School Board wants to invite students to a free parent/daughter event. This event will highlight opportunities in a number of careers to assist young women in high school in making career choices. 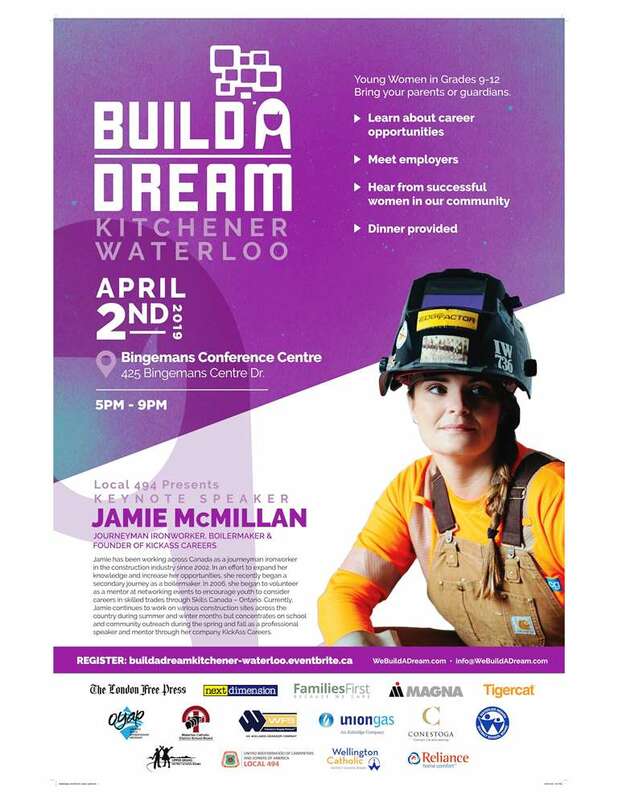 The event will feature a keynote address from Jamie McMillan from Kickass Careers. As a community, the UGDSB and partners for this event recognize the critical role parents/guardians play in the development and education of their child, which is why the event is designed so that families can come and learn too. The event is free, dinner will be provided and there will be lots of complimentary parking. For more information, please contact info@webuildadream.com.